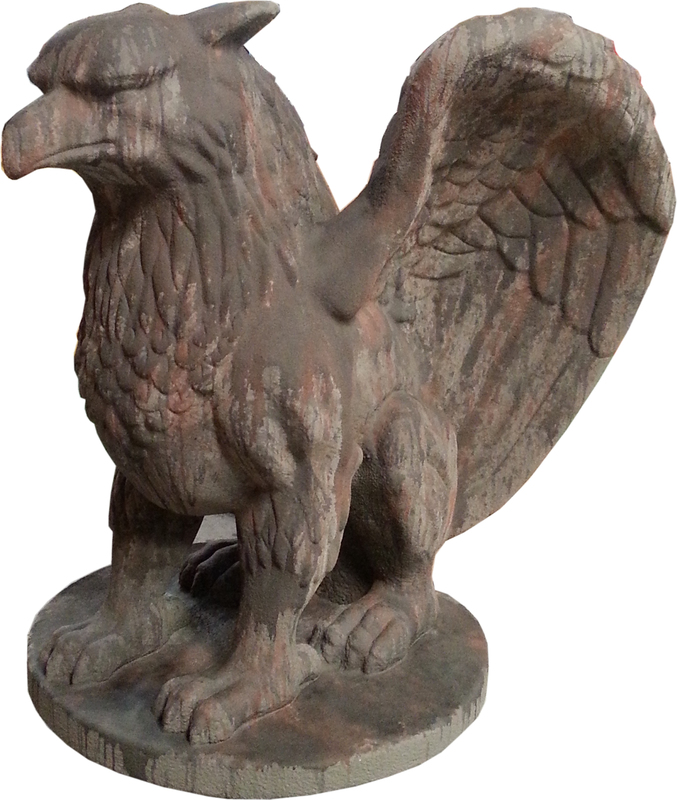 Foam and concrete Griffin / Gargoyle sculpture/Statue Prop perfect for Halloween decorating - Dino Rentos Studios, INC. This is the ultimate Griffin statue. 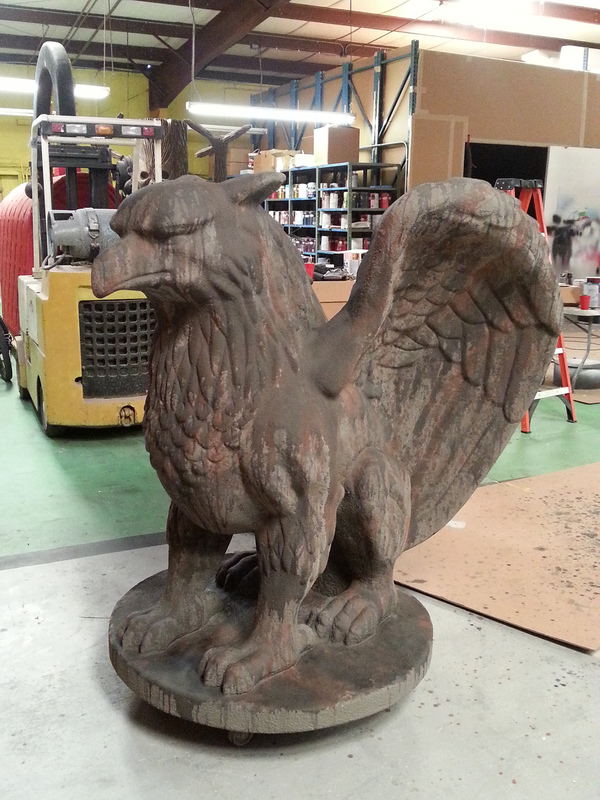 This foam sculpture prop is cut in EPS foam then double coated with our exclusive flexible concrete coating. This coating chemically bonds to the foam to stay permenant to the sculpture. Each is hand painted to age and distress the prop. This thing is huge (measuring appx 57" tall) and make a clear presence at any entrance or Halloween display. Looks like it weighs 1200 pounds but is only 60 pounds. Can be easily moved by two people to the location you like. Call us for details or custom sizes, from 1 foot to 20 feet tall. 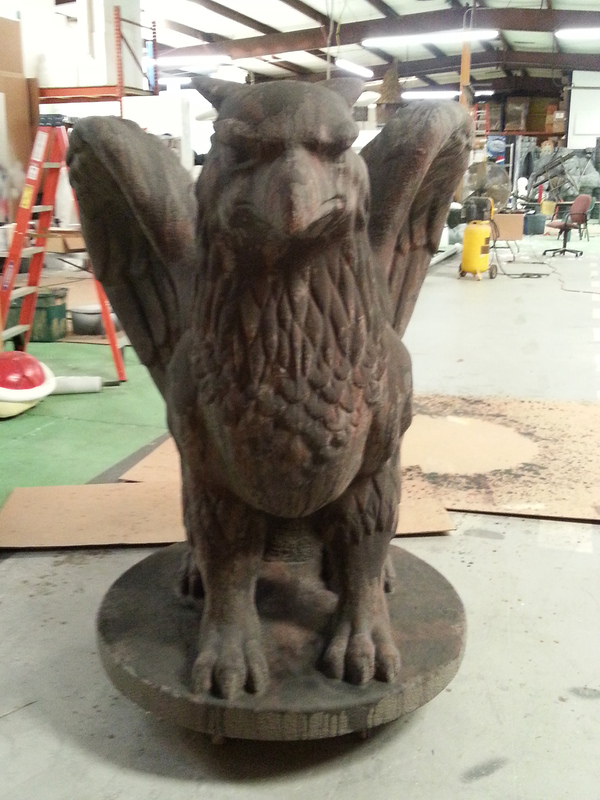 This Halloween Griffin prop is shipped to you via freight.